Dr. Gary Fettke. Image source. Wrongly Accused – Dr Gary Fettke absolved of all charges! 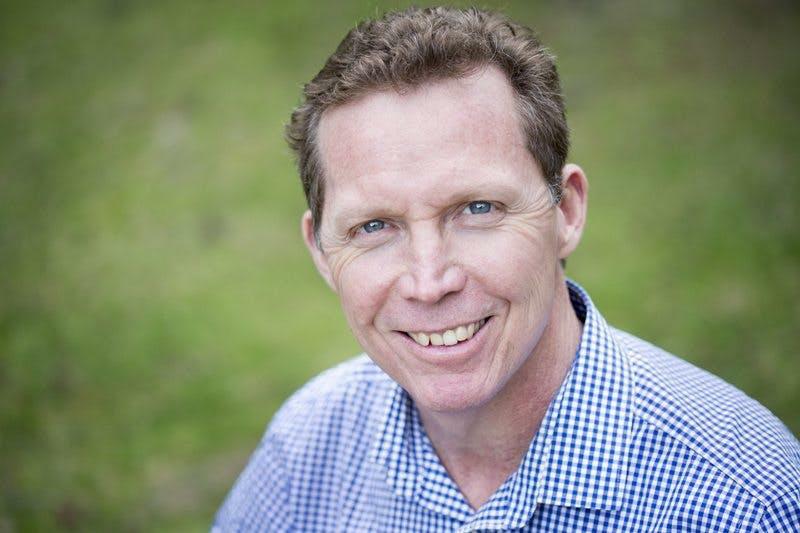 Despite their best efforts the Australian Health Practitioner Regulation Agency (AHPRA) have failed to silence Dr Gary Fettke. After being subjected to 4½ years of bullying and harassment, AHPRA have finally dropped all charges. More than that, its made a public apology to Dr Fettke following a review of his case. To recommend his patients reduce consumption of sugar and processed carbohydrates in direct contradiction of the Australian Government’s advice and, of course, all those with vested interests in Big Food. An orthopaedic surgeon of some 25 years standing, Fettke became increasingly disillusioned by the growing numbers of patients requiring surgery for diabetic complications. He started questioning the current ‘disease management’ model of healthcare, considering it to be unsustainable for both his patients and healthcare budgets. As a result, he started encouraging his patients to follow low carb, high fat (LCHF) dietary principles to improve their health outcomes. Despite his success using this approach, three anonymous complaints from dieticians were made against him in 2014, claiming his advice was “inappropriate” and not evidence-based. AHPRA launched an investigation (more akin to a witch-hunt), subsequently slapping him with a lifetime ban preventing him from giving his patients nutrition advice or speaking about LCHF, despite no patient complaints having been made. Following the recent review verdict, AHPRA acknowledged in its letter of apology that no harm had come to his patients as a result of his dietary advice and there is no “significant risk apparent” from following an LCHF dietary regime. Dr Fettke’s case is not the first of its kind, but we hope it signals the last of the witch-hunts instituted by the mainstream against practitioners who have their patients’ best interests at heart and not that of the corporatocracy. Attempts have been made to silence other low carb advocates who have gone against mainstream dietetic advice in recent years. Take the case of Dr Annika Dahlqvist, a Swedish doctor who put her career on the line to defend a low-carb approach. Or, that of Prof Tim Noakes in South Africa — prosecuted for giving low carb weaning advice to a mother on Twitter. Australian celebrity chef Pete Evans came under fire for advocating a Paleo diet. Even more surprising is the case of Jennifer Elliot, given she was an Australian Dietician deregistered by her own professional association, the Dietician’s Association of Australia (DAA), in 2015 for giving clients low carb dietary advice. The common denominators? All recommended LCHF based diets. All fell foul of complaints from mainstream dieticians/nutritionists claiming the advice given was not evidence-based. All knew there was hard science (and clinical evidence) on their side. All chose to stand up for what they believed in. Seeing a blatant protectionist theme running here? Dare to encroach on the profits of Big Food and Pharma and you risk your entire professional life. But standing your ground has its rewards. After a long challenge, Dr Dahlqvist triumphed in her trial, as did Prof Noakes and now Dr Gary Fettke. Pete Evans continues to promote his culinary message. Jennifer Elliot may have lost her job as a dietician, but continues to practice privately. All continue to promote LCHF principles to the benefit of their patients and clients. We don’t believe in worshipping at the altar of peer-reviewed science unless that science is objective, honest, transparent, free of hidden conflicts of interest and plausible – and preferably has been demonstrated to be effective in the real world. However, not all the players in the scientific community are on the same page, particularly when it comes to the LCHF / Big Food tug-of-war. Strategies used by the corporatocracy are well known. The Disinformation Playbook is a set of five “plays” used by big corporates to push their own agenda and protect profits, regardless of who, or what, may be caught in the crossfire. Big Food companies, who often have close links with dietetic organisations, are no strangers to the Playbook. Not before time, following continued criticism of their many links to corporates, the Dieticians Association of Australia (DAA) has today announced they will no longer be partnering with big businesses. It remains to be seen whether or not this will affect their stance with regard to health professionals who support LCHF dietary protocols and put an end to the bullying and harassment that’s still commonplace. For further information on LCHF eating at home, visit our Food4Health Guidelines and find out how you can enhance your metabolic flexibility and ultimately your overall health and that of your family. Read the full article at ANHInternational.org.